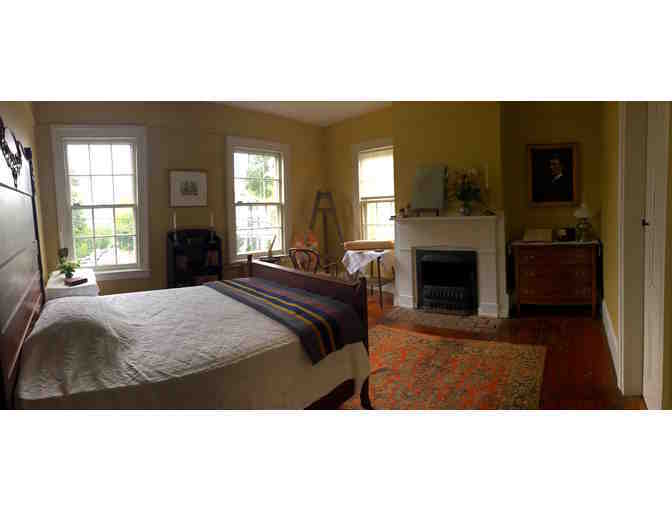 Spend one night in renowned artist Edward Hopper's bedroom in the historic house in which he spent the first 28 years of his life and where he visited family throughout his lifetime. Located 25 miles from New York City in the charming village of Nyack, the house is now an art center and museum with early work by Hopper and rotating exhibitions of 20th century and contemporary artists. 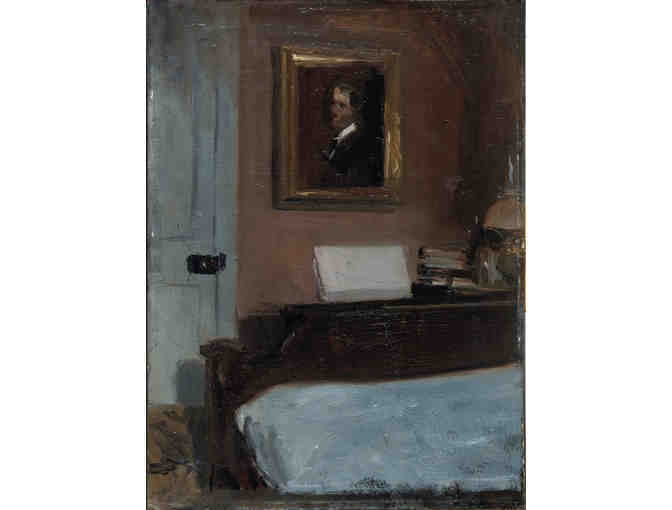 Hopper's bedroom will be transformed into a showcase designed in period style by Architectural Digest featured designer, Ernest de la Torre, and architect, Walter Cain. The room will be open to the public for viewing beginning October 2, 2016. 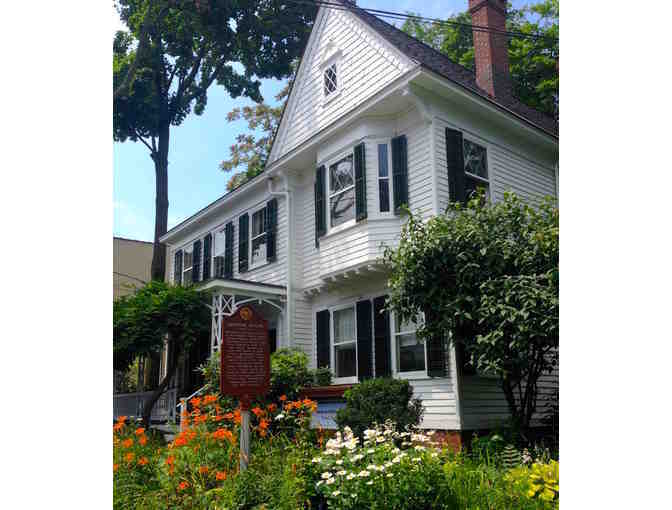 The winning bidder will enjoy one night's stay (for two) on an agreed upon date between February 1 and May 31, 2017 (certain blackout dates will apply), including dinner for two at the Hudson House of Nyack and breakfast delivered to the house to be enjoyed in the gallery or garden, weather permitting. 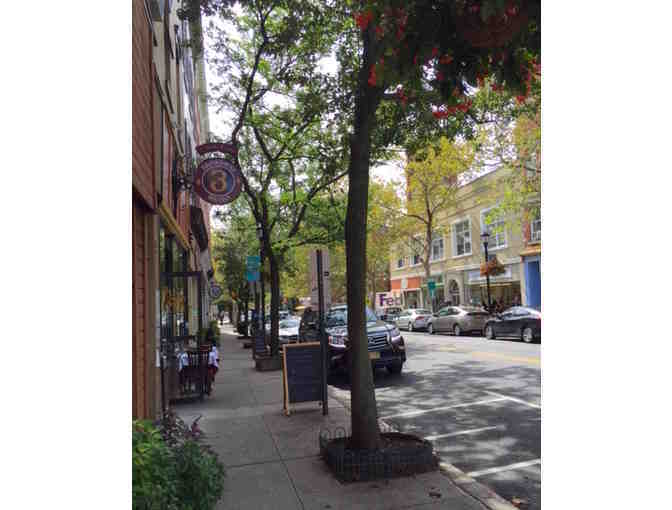 During your stay, stroll along the village streets or take a Walking Tour of Edward Hopper's Nyack to see the buildings and sites included in many of Hopper's iconic paintings. The bedroom is on the second floor of the house. The original full-sized bed from Hopper's time in the house will be fitted with a new mattress. There is a half bath available for use on the first floor. 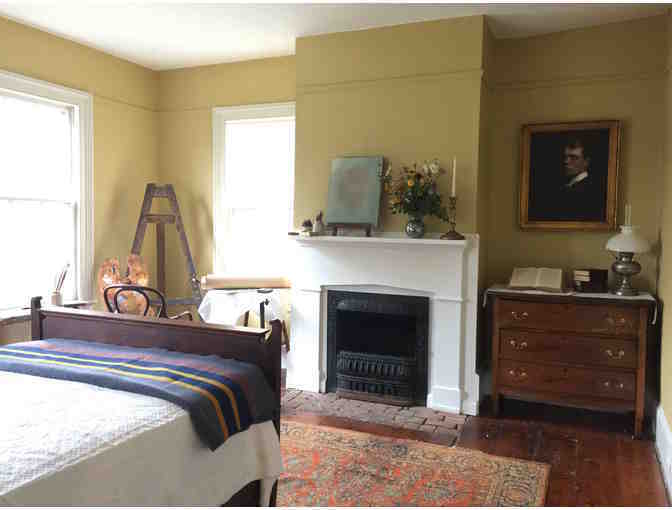 Due to the historic nature of the house and other limitations, the second floor room is only accessible by stairs. 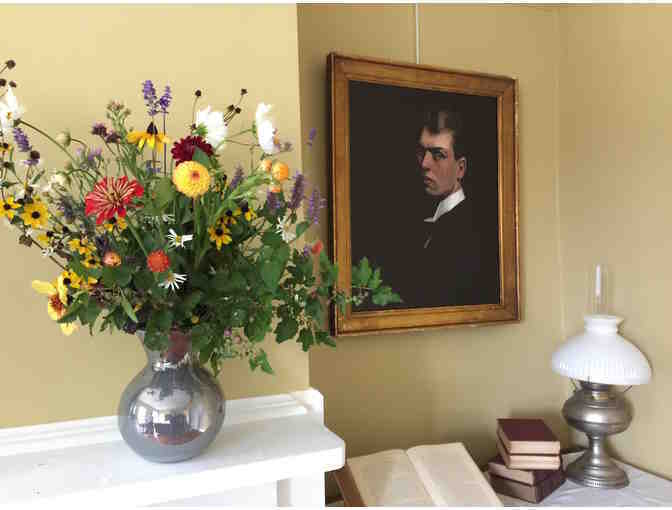 Proceeds from this auction will benefit arts education in local schools and student studio space at the Edward Hopper House. This experience will be auctioned at a live event on October 15, 2016, at 4 pm. Please be sure to indicate your highest bid here to have your bid included as an absentee ballot. 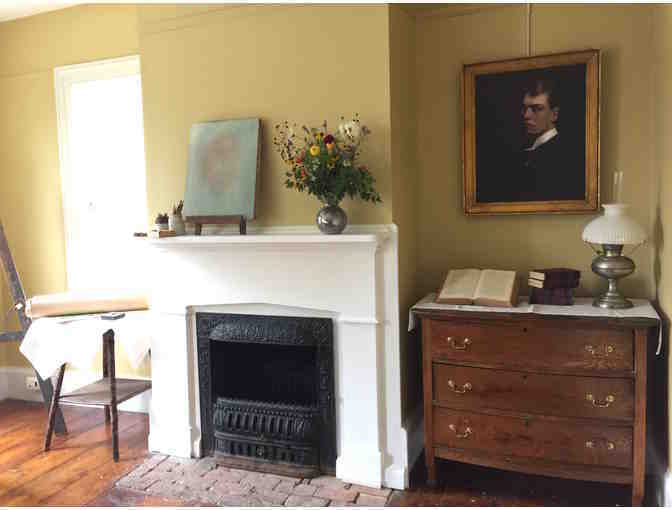 For more information on Edward Hopper and the unique features of house that so inspired his development as an artist, visit us at www.edwardhopperhouse.org. We are grateful to Ernest de la Torre and Walter Cain for their attention to detail and for the time and energy they put into this project, as well as for the generous loans they contributed. Thank you also to Paul Cavalconte and artists Vincent and Tatiana Capraro for the additional loans, and to Mark Turner of Turner & Turner Painting. Thank you to Hudson House of Nyack for their support. Special thanks to Richard Ellis of Ellis Sotheby’s International Realty for making this all possible. Your support matters, so Edward Hopper House Art Center would like to use your information to keep in touch about things that may matter to you. If you choose to hear from Edward Hopper House Art Center, we may contact you in the future about our ongoing efforts. Copyright © 2003-2019 Edward Hopper House Art Center and BiddingForGood, Inc. All Rights Reserved. Designated trademarks and brands are the property of their respective owners.